As Steve Jobs said, it is easier to connect dots, going backwards. JIVEM Education is a result of series of transformations & multiple instances of metamorphosis. It started as a humble tuition center for board appearing students with just 3 students under a sheesham tree with minimal facilities & absolutely no assets, way back in 1983. The tuition center was called GyanKutir (Cottage of Knowledge). Unknowingly, GyanKutir found itself exactly following the Darwinian principle of life and kept adapting to changes. In 1993, GyanKutir took shape of an ultra modern English Medium School - Jhunjhunu Academy and then, never looked back. Acquiring the best of technology and people, it transformed itself into a world ready group of K-12 Schools - Jhunjhunu International Ventures for Educational Marvel (JIVEM). Later, it was constituted as a group popularly known as JIVEM Education. Being titled with a great educational visionary, Dr Dilip Modi has a clear vision to see each and every child blooming up to be conscious and productive citizen of the country who can contribute his best towards the construction of a healthy society and can spread his fragrance far and wide. Dr Modi made his humble beginning of career in Education with the establishment of GyanKutir in 1983 with just 3 students. The continuous efforts by Dr Modi and his dedicated team with a aim to impart quality education, shaped an academic milieu in Shekhawati Region where students started achieving the unprecedented success in board examinations. His exceptional style of doing things innovatively has left numerous educationists spell bound. He strongly believes in technology and has an excellent judgement about its usefulness. His vision and commitment has enabled JIVEM Education (Jhunjhunu Academy) to carve a niche for itself in the field of educational excellence. Today, he is the Chairman of JIVEM Education, an ISO 9001:2008 certified education management company and is managing 22 + institutions in Shekhawati region with remarkable success. Today, JIVEM is serving more than 12000+ students, has an employee strength of over 1500+ with hostels housed by over 3000 students and a strong fleet of 180+ school buses operating within radius of 45 kms from Jhunjhunu. With the support of the society and of course, the hard labour of his dedicated team, today the sapling of GyanKutir has grown into a huge tree of JIVEM Education in the 35 acres beautiful campus of Wisdom City. 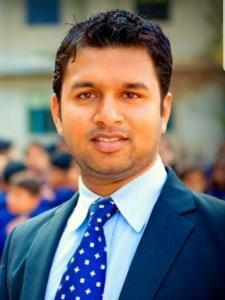 Mr Ashutosh Modi is a young educationist who brings with him latest trends in education & technology. He is an engineer in Information Technology & has close to 3 years of experience with multinational projects. He did his MBA from S P Jain School of Global Management which gave him a chance to stay in Singapore & Dubai. He utilized this opportunity to understand the education structure of these cities & identify the features that could be brought back to India. He has a deep understanding of K-12 Education ecosystem & is utilizing this to create and implement effective models in school management & support services. Ashutosh has developed and documented an efficient & result oriented New Age Schools System TM, for running and managing K-12 Schools. He also studied at York University, Schulich School of Business in Toronto (Canada) where he interacted with numerous educationists. He is also the brain behind the web enabled Student Information System “ School Prime” of all JIVEM driven schools. Being a technology student, Ashutosh felt a need to utilize technology to specialize and bring precision to the entrance exam preparation and hence, he developed a multi-faceted test prep portal www.entranceprime.com which helps students practice each and every chapter in real test environment and get detailed and meaningful analysis and suggestions to improve their score, accuracy and time management. He is a researcher - an analyst - a dreamer and an entrepreneur. 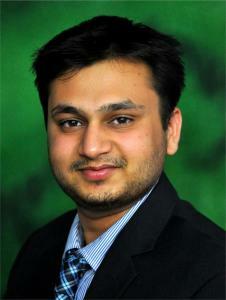 He is Akash Modi, Director, Infrastructure and Planning. Akash is an early starter in education. From his student life at Jhunjhunu Academy he started to observe and analyse the systems and processes of the school. Being an alumni of Jhunjhunu Academy, he knows the basic fundamental areas of working. Akash Modi has done his graduation with Full Merit based Scholarship in International business from University of Birmingham, U.K. and Diploma in Management Studies from Singapore Institute of Management. He has closely observed European education system and studied EU Law at Aarhus University, Denmark. During his studies at Birmingham, his dissertation topic was " The effects of servicescapes on teachers of K-12 education (Research based on India)". Working on this project, he understood the changing scenario of education in India and decided to serve his motherland in the same field. He is the brain behind the implementation of Green Campus Intiative - STP (Sewage Treatment Plant), Rain Water Harvesting, Energy efficient water heating and state of the art drinking water filtration and chilling plants at Wisdom City campus. His outstanding quality of managing the resources is always admired and appreciated. The knowledge gained during his working with CONCEPTS Public Relations, Mumbai, is being used by Akash in conceptualizing and managing the grand events like SaaRang and Boarders' Eve. Being awarded with Gold Star Asia Award, Mrs Ranu Modi, is the Director at Jolly Angles Kids School, powered by JIVEM Education. 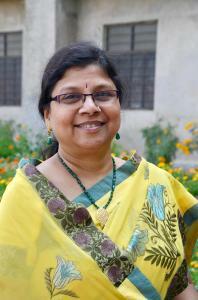 She is the brain behind the specially designed books and practice sheets of Jolly Angels kids. She brings young energy and contemporary outlook to Jolly Angles. An incredibly creative brain behind the fun filled learning activities of the students, Mrs Garima Modi formulates the creative concepts and positive approaches for the development of Critical Thinking among the students. Jhunjhunu is a beautiful little historical town located in the Shekhawati region of Rajasthan. It is the administrative headquarter of Jhunjhunu district. The town is famous not only for its illustrious sons who have established financial empires all over the country, but also for its educational institutions which produced an enormous numbers of doctors, engineers, business leaders and bureaucrats. Thousands of students come from all over the country to study in Jhunjhunu and thus, educational institutes contributes a lot in the economical structure of the town. Jhunjhunu Academy, being the first and the only real CBSE School in town, has brought the name of the town on national scenario of School Education. Not only Jhunjhunu Academy CBSE, but also Jhunjhunu Academy Gaushala Road, affiliated to state board produced outstanding board results with 36 State Board Merits in 12th Science, Commerce and 10th has proved its dedication towards the quality education and marked its presence on the map of Rajasthan. Jhunjhunu is also known for having sent up a large number of its men into the armed forces, many of whom sacrificed their life in different wars including Kargil. Jhunjhunu has more ”martyrs” than any other town in the country. 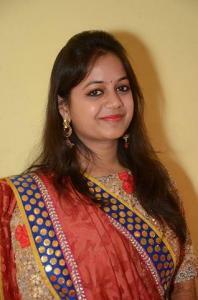 Many of the famous business houses have their origin in Jhunjhunu District Viz. Birla, Modi, Singhania, Piramal, Poddar, Moraraka, Rungta, Somany etc. The Havelis built by these business families are the repositories of original Shekhawati art and still attract tourists not only from India but from all over they lobe. Citizens are civilized and very co-operative in nature and enjoys all colours of life in harmony.